Humanitarian Reinstatement is a discretionary form of relief available to the principal beneficiary of an approved Form I-130, Petition for Alien Relative, which was approved prior to the death of the petitioner. This form of relief is not available if the petitioner died while the petition was pending. In order for the beneficiary to be eligible for this type of relief, they must have a qualifying relative (spouse, parent, mother-in-law, father-in-law, sibling, child, son, daughter, son-in-law, daughter-in-law, sister-in-law, brother-in-law, grandparent, grandchild or legal guardian) who is a U.S. Citizen or lawful permanent resident that is willing to file an Affidavit of Support on their behalf. This qualifying relative is referred to as the substitute sponsor. Since Humanitarian Reinstatement is a discretionary benefit, the US Citizenship and Immigration Services (USCIS) will weigh the positive factors against the negative factors to make their decision. In order to reach a favorable finding, USCIS must determine that the positive factors outweigh the negative factors. 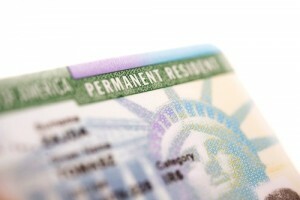 Some of the factors USCIS will consider in reaching a favorable decision are whether the beneficiary is elderly or in poor health, has resided in the U.S. lawfully for a long period of time, has lack of strong ties to their home country or has been waiting a long time for their case to be processed. When submitting your Humanitarian Reinstatement package to USCIS, you will be required to include a copy of the approval notice for the petition, the death certificate of your relative, an affidavit of support completed by the substitute sponsor, proof of the substitute sponsors’ relationship to you and an explanation of why you deserve Humanitarian Reinstatement. The approval rate for Humanitarian Reinstatement applications is relatively low so we recommend that a qualified attorney help you apply for this benefit. If you believe you qualify for Humanitarian Reinstatement, please contact us today at (561) 826-9339. We would be glad to assist you with your case.